The bench seats in a Sprinter are burly. 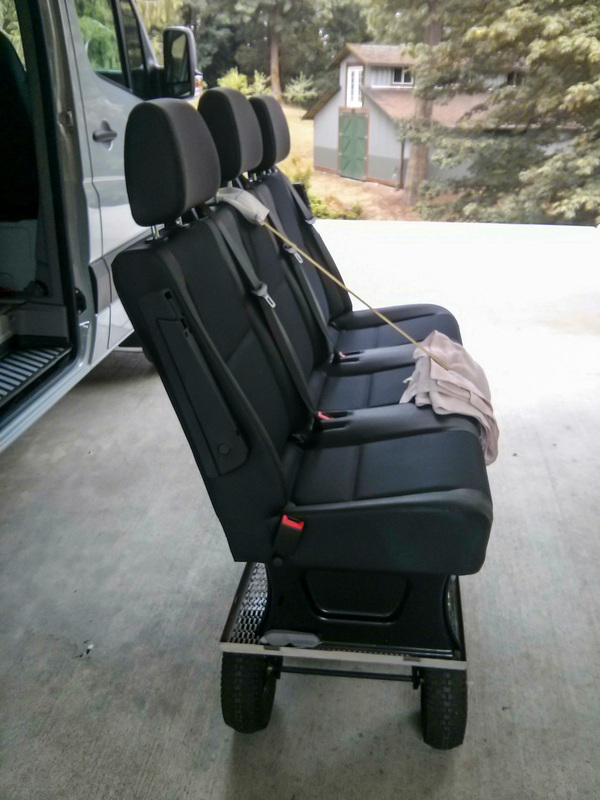 They are designed to keep three passengers safe in a crash, so they are heavy and sturdy. We move our seat out of the van every now and again, either when we’re working on the interior or when we need to carry oversize objects. What we needed was a way to get the seat from the van to wherever we want to store it, and also a way to make sure the seat can be easily moved by just one person if it’s in the way of other stuff we need. The seat base isn’t very stable because it’s designed to latch into clips in the floor rather than be free standing. The whole seat is heavy to move around. Our solution was to find a utility cart that the seat legs fit on to. We line the cart up next to the sliding door of the van, and carry the seat straight out onto the cart. After we’ve strapped it down, it’s easy to maneuver and store wherever we want. Getting the seat in and out is still much easier as a two-person job but the loose seat is very easy for one person to move around on the cart if it’s blocking access to stuff in our garage. 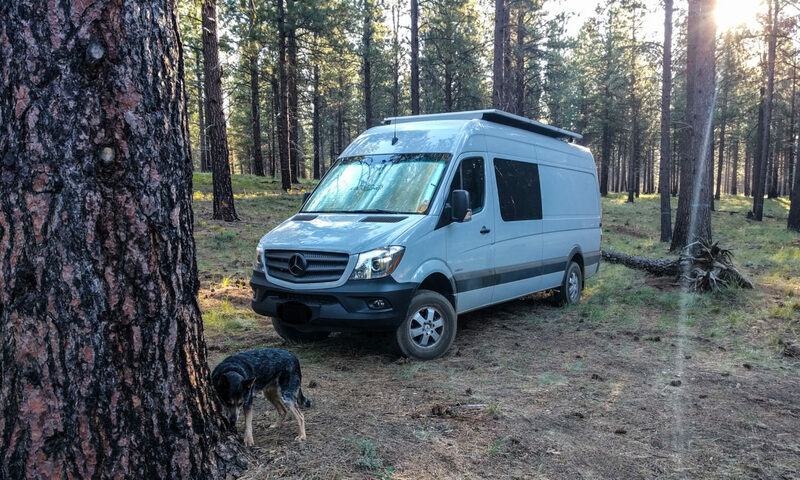 Update: There’s a 2014 post on the Sprinter Forum by a Sprinter owner who uses a Cherry Picker (engine crane) to lift all three bench seats in and out of a passenger van. That probably makes it just about a 1-person job. The extra seat makes a great couch. Someone was trying to get rid of theirs and I took it off there hands. My place is small and I got no kids so it works great for me. You’re lucky to get it for free. Seats in good condition can go for $500. I know! He said he was trying to sell it. One person wanted to barter half the price. His wife said I want it gone. New couch! I like your screen idea and am working on mine currently. However I’ve discovered the magnets I’m using are only magnetized on one side. I’ve got them all glued onto my van. Just finished sewing the screens and gluing the other magnets. Tried it out and now I’m sad. Another day. I have lots of magnets thankfully. Im actually thinking about chopping mine down to a 2-seater.